Elixir Ultime Conditioner is rated 3.6 out of 5 by 14. 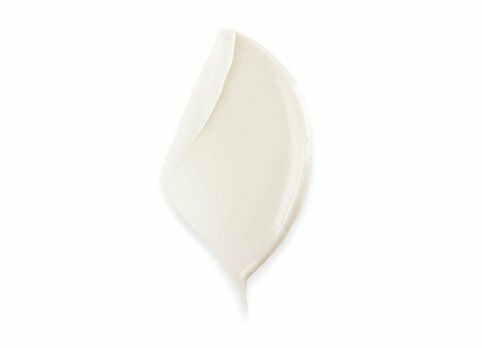 Apply a quarter size amount of Elixir Ultime Fondant to wet hair throughout mid-lengths and ends, distributing evenly. Leave on for 2-3 minutes, then rinse thoroughly. Rated 3 out of 5 by Coconut from Kérastase you are ruining great products! This was my FAVORITE conditioner. It worked great on my hair and could always tell a difference after using it. Last time I went to repurchase it was updated to the new packaging. The smell of the old formula was perfect. I felt like it was luxurious. After using the entire new bottle I can say someone ruined this fragrance. It doesn’t smell anywhere near as good as it did before you changed it. I do not like the new smell at all . It has a cheap smell to it somehow. It also doesn’t work as well on my hair. It’s really getting old Kerastase keeps taking good products and making them worse. Customer service is horrible and before it was worth it for such great products. Now we are getting worse products for the same price with the same bad customer service. Is it worth it anymore?? Looks like you are running off all your long time customers. Rated 5 out of 5 by Lyruffo from Perfect for Fine Hair I got this as a free sample with my order and I’m in love with it. I have a lot of fine color treated hair. I need volume but also moisture. This is absolutely a perfect combo for my hair. Rated 5 out of 5 by StrawStraightHair from Just what I needed I have long very fine hair, and typically hate conditioners due to the weight they add. Thanks to my stylist for the suggestion because, this not only smells amazing, but it’s light weight and has greatly improved my overall hair health! Rated 5 out of 5 by Momtotwolittlemen from Amazing Hair Miracle! I can’t say enough good things about this conditioner. Yes, like other reviews it’s thin but packs a big punch!! Plus it smells like Chanel Chance perfume. Love it, love it, love it!! Rated 5 out of 5 by JaManz from My New HG conditioner!!! I received this as a sample with one of my more recent purchases. I decided to give it a try. I live in Utah right now and the weather is extremely cold and dry so my hair stuffers immensely from it. It's always dried out and staticy. I washed my hair with a Kerastase shampoo and then I opened this little packet of Ultime conditioner. I was a bit confused by the consistency to be perfectly honest. It was a bit runny which I've never seen a conditioner this runny before. Regardless, I emptied the packet into my hand carefully trying not to spill, and applied it all over my hair, especially focusing on the ends. I let it sit in my hair for about 5 minutes. The smell in my opinion is incredibly heavenly. It has hints of almost like a men's cologne but in the classiest way possible. I could not stop smelling it smells so good. I know a lot of people have complained about the smell saying it's too strong but in my opinion I have no sensitivity to smells therefore I am in absolute love with it. I rinsed my hair out and my hair felt like Silk so smooth so soft! I then blow dried my hair and when I was done I could still slightly smell the conditioner. As I went on about my day. Shopping and running errands I had several women compliment on how good I smelled and asked what perfume was I wearing. I just laughed and told them I wasn't wearing any perfume it was just my conditioner. It was quite intoxicating in the best way possible! My hair continued throughout the day to be super soft and super shiny! I would highly recommend this to anyone with dry hair. I'm super excited to also try the oil serum from the same line. Rated 1 out of 5 by KarynL from New? Reviews are Years Old How is this marked as a - NEW - product and yet the reviews are 2 and 3 years old? What am I missing? Rated 2 out of 5 by JulieP from Way overwhelming perfumey smell I bought this with the oil shampoo after receiving a sample of the oil shampoo with my previous purchase. I fell in LOVE with the oil shampoo at first use. This does what it says it is supposed to. It makes my hair look great, however, every time I use it, I am nauseous all day long from the strong perfumey smell of the conditioner. I wish it smelled like the shampoo instead. I can't even use it any more. I am going to give it to my mom. She likes the bathe in french perfume smell that reaches people's noses before they enter the room. Rated 4 out of 5 by Angietaylor from LOVE but too runny for bottle This conditioner is awesome! It’s light but leaves my hair with a super soft silky feel, and the scent is fantastic (albeit a little masculine IMO). The reason I’m giving 4 stars is the packaging. This conditioner is very runny, that alone doesn’t bother me, but the bottle has a screw on bottom cap....so once you’ve got this drippy liquid (and I mean runnier than shampoo) in one hand, and the bottle still in the other, it’s impossible to close it without conditioner coming out of the bottle, or your hand. And at this cost- every single drop is precious. This bottle needs a one handed flip cap! I’ve probably lost 1/4 of product down the drain trying to close the bottle once I’ve dispensed into my hand. I give the conditioner itself 5 stars- seriously- LOVE. It’s the packaging that drives me nuts!